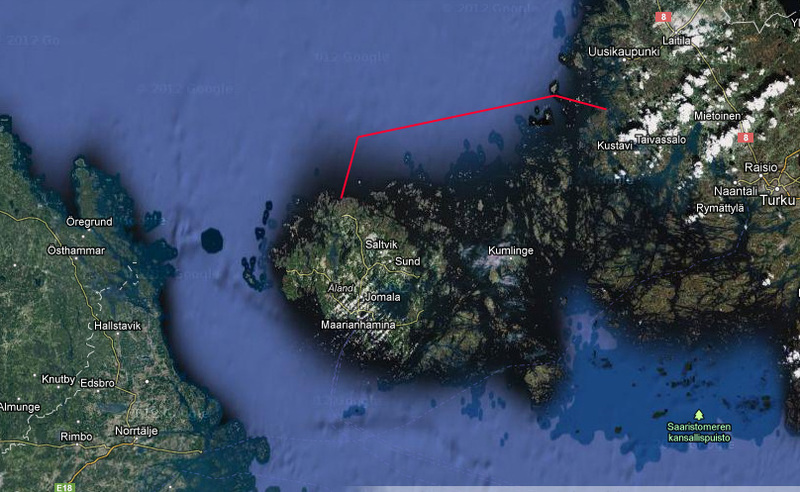 We finished our summer journey on Wednesday with a longish 12 hours and 60 nm leg from Åland to Kustavi. 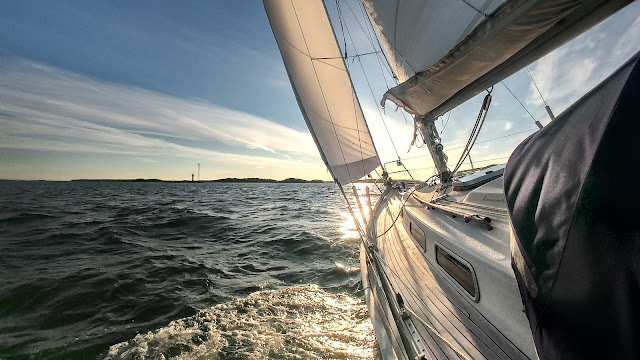 During the last two weeks, when we were coming back from the High Coast and cruising in the Stockholm Archipelago, we were quite unlucky with the weather, since the wind was mostly against us. In the end, our luck changed and during the last three legs we enjoyed some nice downwind sailing. 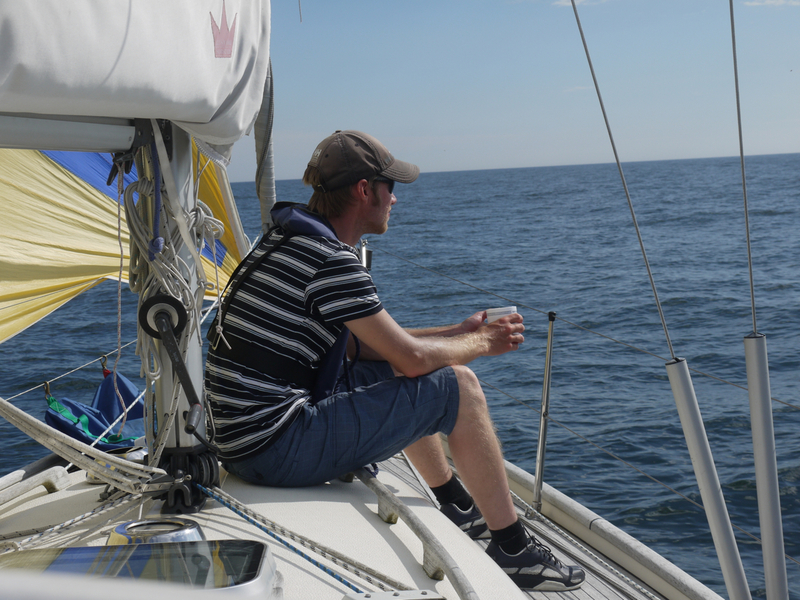 After the Åland Sea crossing I wrote in the logbook, that it was the best sailing weather of the season so far. However, the final leg of the journey turned out to be even better. We started early at 4 AM from Djupviken. 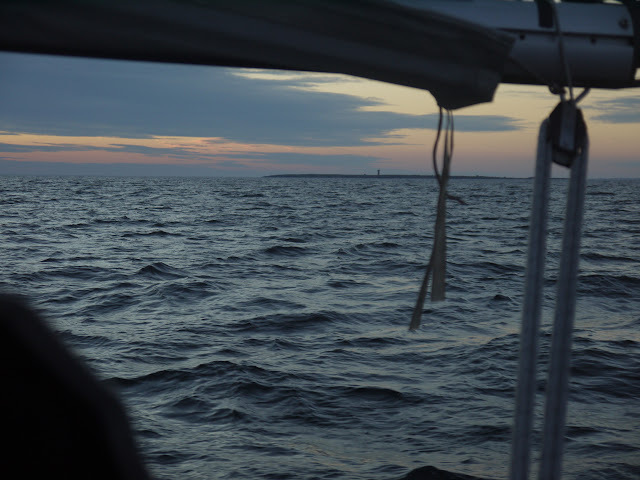 The first couple of hours we were sailing towards north to get clear of the shallow water north of Åland, before we could take the course to east towards Isokari. 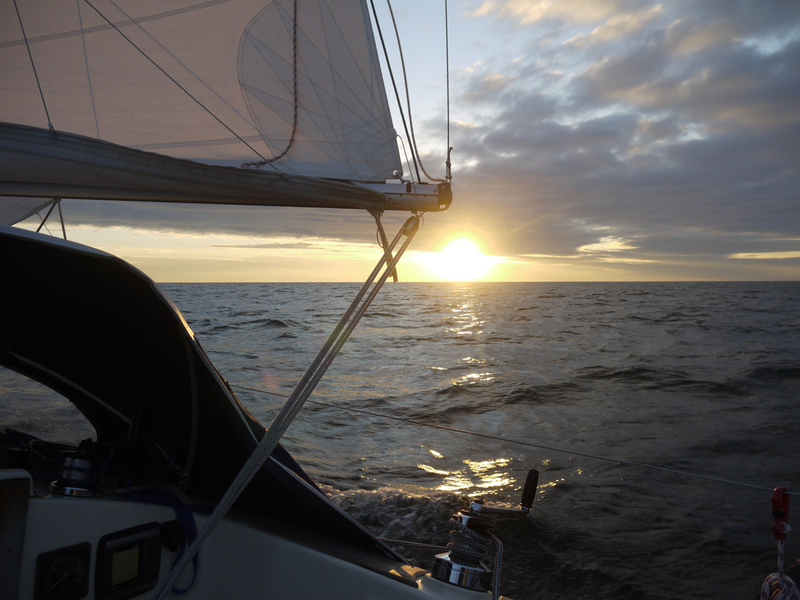 The wind was from the south so we were sailing almost dead downwind. 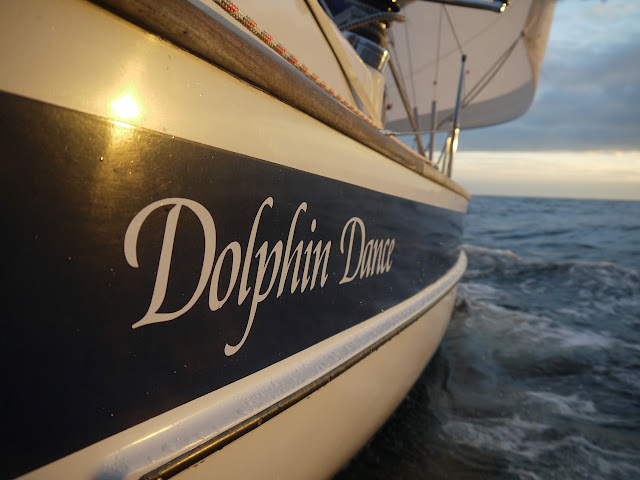 For Dolphin Dance, which is quite a heavy boat with a short waterline, this is not very fast point of sail, so we decided to hoist the gennaker to get some more speed. 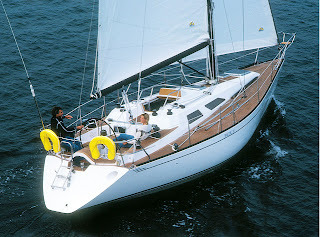 During this season we have been using furling gennaker, and after some practice, the system has worked pretty well. Minna is usually hoisting the furled gennaker from the cockpit, while I am in the fore deck checking that everything goes well. However, the wind was pretty light this morning, so I decided to hoist the gennaker singlehandedly, while Minna was staying down below. However, before I managed to unfurl the gennaker, it got tangled around the fore stay and it took almost 30 minutes to sort the mess out. However, in the end we managed to hoist the sail, but the swell came from southwest, so it was difficult to get both sails, main and the gennaker, filled. Thus, we decided to lower the main sail and continue only with the gennaker, which turned out to be the best option. After we altered course towards east-northeast, the ride became much more enjoyable. Now the swell came from behind while we were reaching with the gennaker. 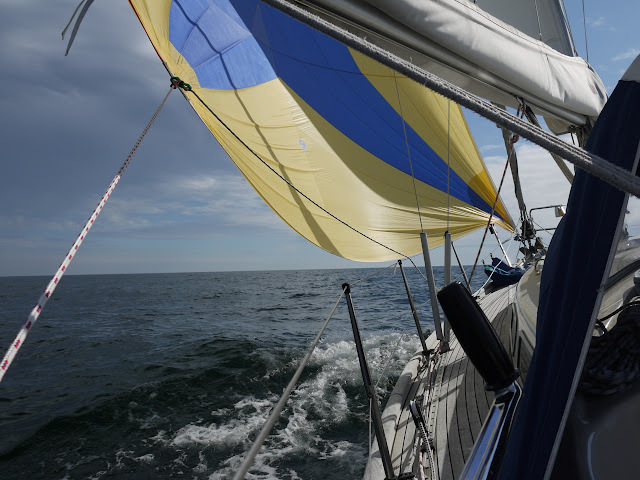 We also hoisted the main sail, since the wind got temporarily lighter, but it increased again in the afternoon. It is always a great feeling to see Isokari lighthouse rise from the sea. 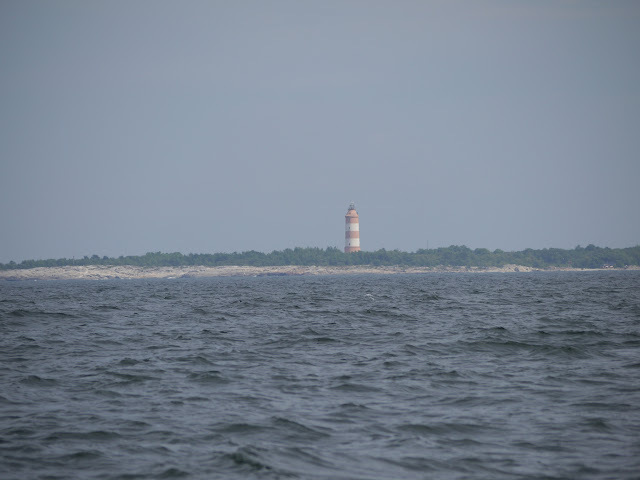 It is a great landmark, when approaching Kustavi or Uusikaupunki from the sea. 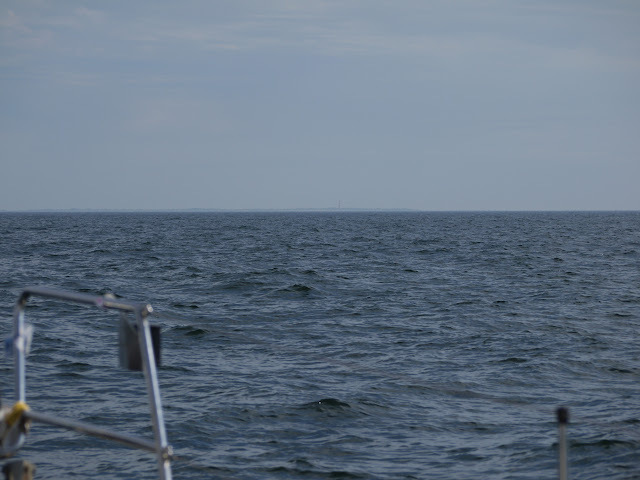 It became visible in about 16 nautical miles distance. 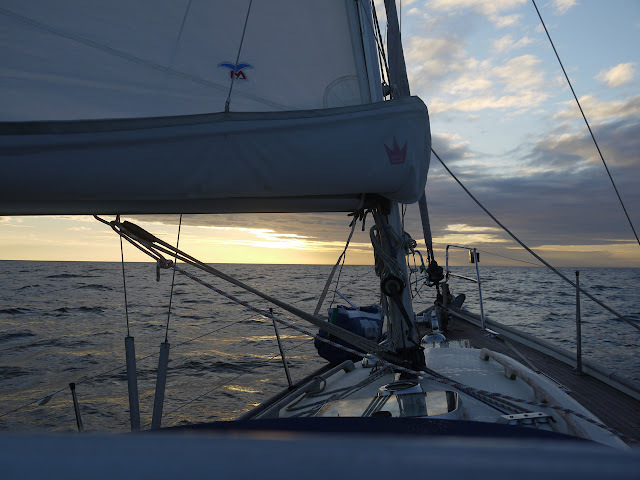 Circle closes...from Isokari we started sailing towards Sweden four and a half weeks earlier.